Upgrading to a new level requires not only a lot of skill, but a decent guitar as well. That`s where Fender`s production comes in handy. Guitars of this company are produced for players of any level of skill. I don`tknow whether Fender expected that his production will be that successful whenhe was designing the first Precision Bass in his basement, but when this modelstarted selling really nicely, the company started announcing dozens of newguitars. This tendency lasted for a long time, so hundreds of new guitars forplayers of any skill levels appeared. Amongst them was the concert Guitar Fender CC 60SCE that we will discuss today. The first thing we are discussing is the physical side of this guitar. The material it is built of, the dimensions that determine how nicely the guitar will sit in your hands and the strings, which matter a lot in terms of playability and sound quality. Theguitar has mahogany back and sides, rosewood fingerboard and solid spruce top.These three materials are so to say the classic in guitar building. They aredurable, nice sitting and rather light-weighed. Thisis a concert-sized guitar (a bit smaller than regular one). Its` dimensions are18 * 43.5 * 6.5 inches (which is 457 * 1105 * 165 in millimeters). 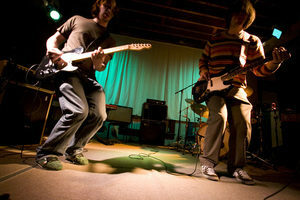 The guitarwill be easy to play for any player, who is older than 16 years old. On theother hand, young beginners, ladies and simply the ones with small hands willnot be able to handle Fender CC 60SCE that easy. Guitarhas polyurethane strings, which are the balanced middle between hard metalstrings and soft nylon. Although they are easier to play and stay tuned forrather long time, there are no outstanding pros and cons. You`ll probably wantto replace the basic strings later on. Theguitar has acoustic cutaway shape. Cutaway means that access to the upper fretswill be easier, while concert size makes it a bit easier to carry and handlethis exact model. FenderCC 60SCE has built-in tuner and on-board electronics. The guitar will be aperfect choice for the beginners and advanced players who are ready to startsome scenic performances. Thebuilt-in “easy-to-play” fingerboard edges. The neck is designed in such a way,that playing a guitar feels much easier. All these factors together combined in one guitar, make Fender CC 60SCE a perfect choice for beginners, who already start feeling confidence and want to start playing at public. The easy-to-handle electronics in combination with reliable body are soooo attractive. Although this guitar is undoubtedly great, there are other models worth attention in this price category as well. 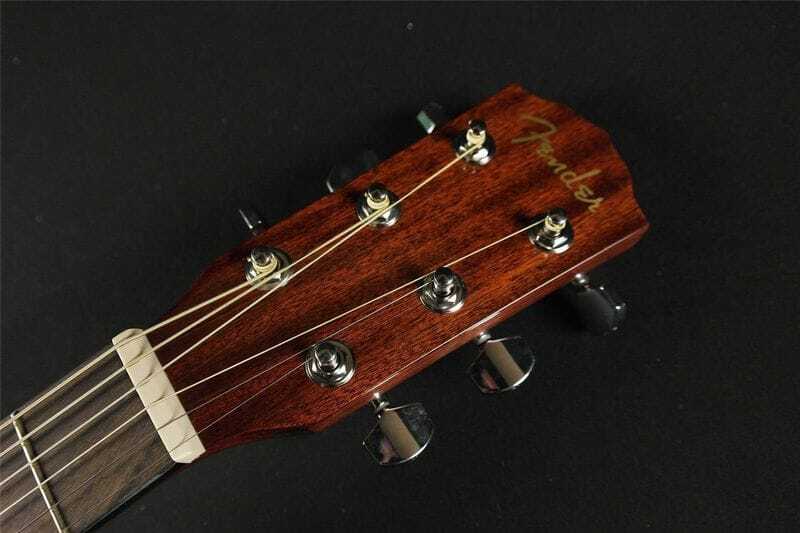 <td>This model can be called a smaller sister in the Fender concert family. There are three main differences between this one and CC 60SCE. First, this one is strictly acoustic guitar, it has no built-in electronics and no opportunity to plug-in. Second, this guitar has no cutaway, which might make the playing process a little inconvenient. And the last, but not the least, it has a great sunburst design. I think, Ishould say that this guitar is not worth than its` electro-acoustic analogue,it`s just been created with different purpose. T-Bucket300 is a guitar for advanced players. It has a bit different body material andelectronics that it is harder to work with. There is a great compensationthough – the design. It is the best one I`ve seen so far. Thisis a budget model. It is easy to maintain and play, but, of course, due tobudget limitations engineers needed to sacrifice some durability and overallquality. This is still a decent pick, if you are having moneyissues. 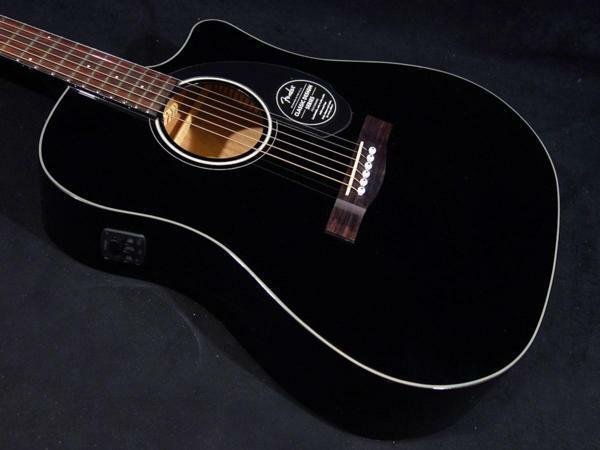 Finding a decent model of an electro-acoustic guitar isn`t really a hard task. There are dozens of such guitars on market, so pick the one you can afford and start learning and improving your skills. 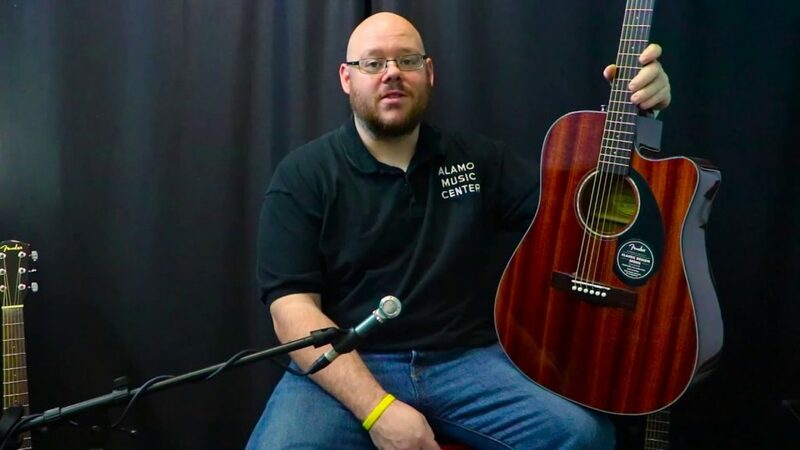 Here is what you need to remember about electro-acoustic guitars and Fender CC 60SCE. Electro-acousticguitars are a great upgrade from acoustic versions for the beginners. They are suitable for public scene performances. 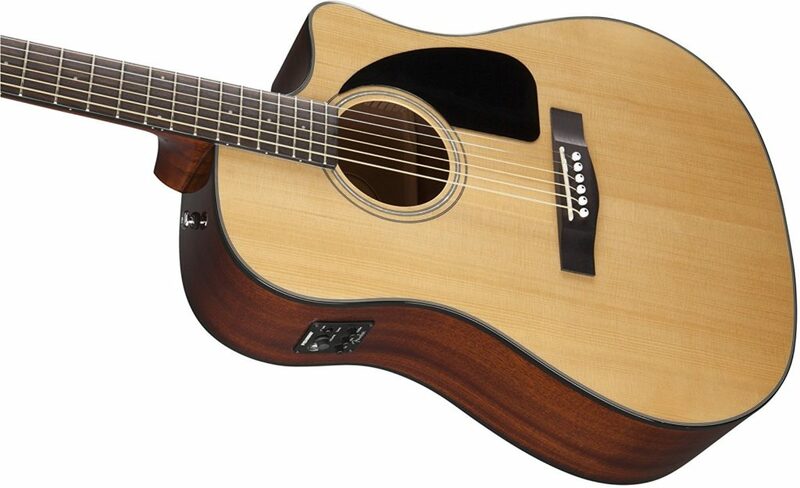 Fender`sCC 60SCE is one of the best electro-acoustic guitars for the developingplayers. Thereare other guitars worth considering in different price categories. This was all you needed to know about the electro-acoustic guitars on this level. Choose one and start practicing as soon as you can. Later you`ll learn more information, but on this stage practicing is much more important. Good luck.